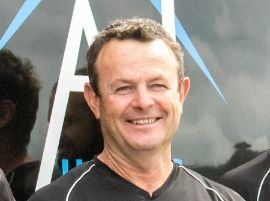 A father and son team with more than 50 years of building experience between them, AJ Homes have been building quality homes in the Waikato region since 2011. A family owned business, we specialise in new home builds, bringing you quality homes at an affordable price. Based in Morrinsville, we like to work closely with our clients to ensure we complete every job on time, within budget, and entirely to our customer’s satisfaction. At AJ Homes we take pride in everything we do. We make communication with clients a priority to ensure you are happy with every stage of the build. We keep our work sites clean, tidy and well organised, which is a reflection of how we manage our projects. And we complete our work on time and within budget. At AJ Homes we care about you and your new home. A father and son family business, the Graham family is a name you can trust. Peter has been a builder for over 35 years, building residential properties, farm buildings and carrying out renovations. He ran his own building company for over 25 year before amalgamating and forming AJ Homes with his son Adam. 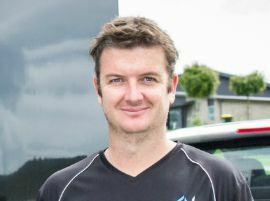 A keen family man, he loves the Waikato; it’s a great place live and a great place to follow his other passion – horse racing. Adam picked up his dad’s passion for building and has been in the trade for nearly 20 years. Working mostly on residential properties, he also had a 5-year stint working on civil construction projects in Australia. He is now the chief business manager and project manager. Adam is especially good at communicating with clients and runs a tight ship where only the highest quality standards will do. Now with a young family of his own, he enjoys playing with the kids, and fishing or surfing when he gets the chance. At AJ Homes we are LBP qualified which means we attend regular educational events to ensure we are meeting all required building standards and best practices. Each we year we are reviewed and meet the LBP standards. We train in the following areas: changes to the building regulations, building materials, new technology, good building design and construction, good business practices, workplace safety, and keeping the public safe from financial and physical harm.